Our gluten, wheat and milk free multiseed rolls are delightfully flavoursome. They're packed with a blend of seeds for added fibre, texture and flavour. 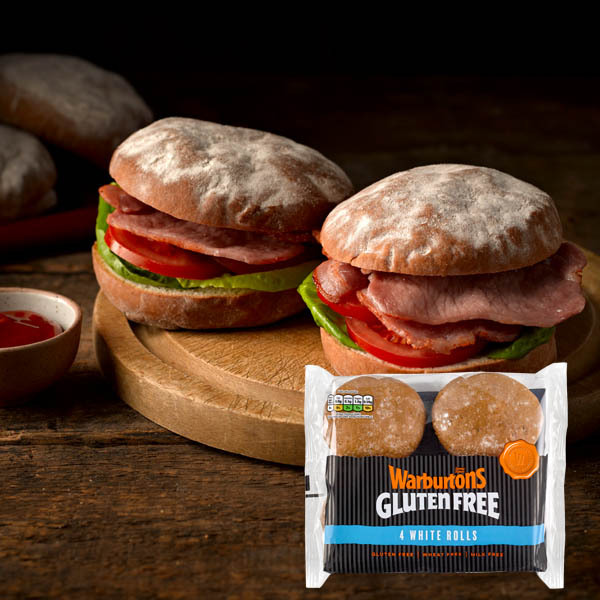 These soft granary-style gluten free rolls are a great choice for sandwiches, whatever filling you fancy. Water, Tapioca Starch, Seed Mix (8%) (Sunflower Seed, Linseed, Millet Seed, Poppy Seed), Potato Starch, Maize Starch, Rapeseed Oil, Yeast, Egg White Powder, Stabiliser: E464; Sugar, Vegetable Fibre (Psyllium), Fruit Extract (Carob and Apple), Calcium Carbonate, Salt, Humectant: Vegetable Glycerine; Preservative: Calcium Propionate; Caramelised Sugar, Natural Flavouring, Iron. This soup is great for the chilli winter months and will warm up any lunchtime.